That's Fronk-en-stien! 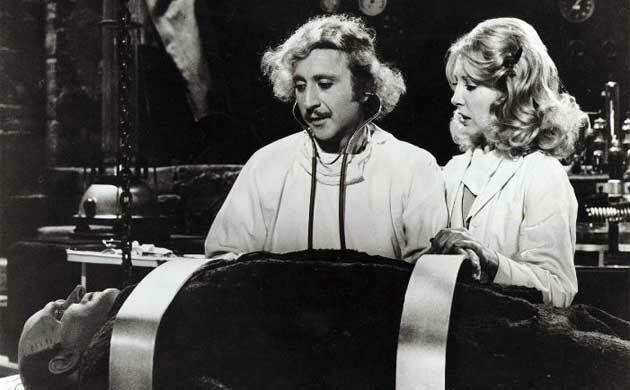 An annual tradition of mine is to watch good ol' Mel Brooks's Young Frankenstein, my favorite comedy. How can you beat it? Gene Wilder is the title character, Mel Brooks and him wrote the script, and you have Marty Feldman and Peter Boyle. This was the first movie I ever saw in a theater. I still think it's Brooks' best work. I still crack up at Frau Blucher's stunning and dramatic proclamation (complete with violin accompaniment) "Yes! I VAS HISS GERLFRIEND!!"